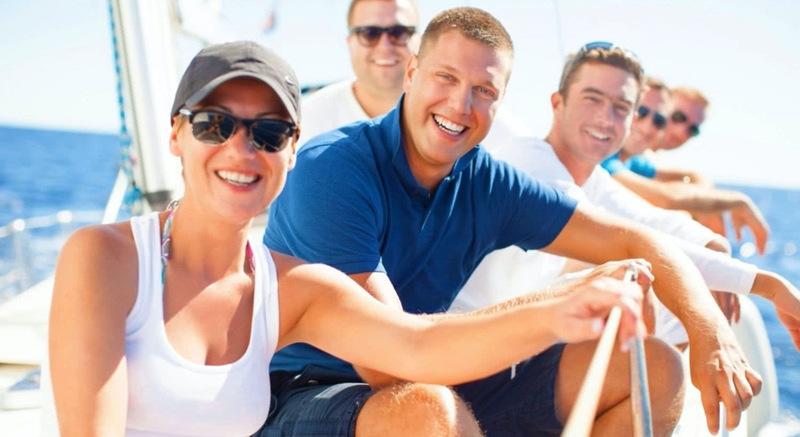 Available to Members in our shared-yacht program and their families and friends, Pinnacle’s training courses teach essential knowledge and skills so you can enjoy your time on the water like a pro. If your dream is to charter a yacht in places like the Caribbean, Europe or the South Pacific, Pinnacle instruction is the perfect compliment to your helm-time experience gained as a Pinnacle shared-yacht Member. With both education and big-boat experience, you will qualify to charter a yacht anywhere in the world. Pinnacle Members may attend training sessions with a spouse, adult child or friend. This fosters joint learning and confidence, and sharing the experience with another close to you is great fun. The training is comprehensive and the tenor is friendly, relaxed and supportive. Hands-on instruction courses are scheduled prior-to or early in the season, on the yacht you will be captaining in the Pinnacle Fleet; not the smaller, older training boats typically used by most schools. Pinnacle instructors are highly seasoned mariners who are also great teachers. Their love and respect for the lake is reflected in their passion for teaching others the same.